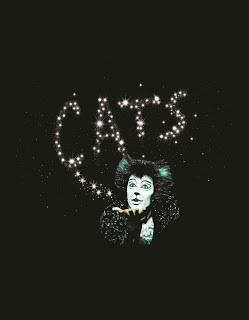 Cats is a musical that stands alongside few others as one of the longest running shows in musical theatre history. Composed by Andrew Lloyd Webber and boasting 21 years in the West End and 18 years on Broadway, it has captured the hearts of audiences on a global scale. Based on T.S. Eliot's work 'Old Possum's Book of Practical Cats', we follow a group of Jellicle cats as they prepare for the annual Jellicle ball, where one from their midst will be selected to journey to the Heaviside Layer to be reborn and embark on a new life. Basing an entire musical on a book of poems about the psychology of cats doesn't allow for an intricate plot and this is the main downfall of the show. Although we given a detailed introduction to each cat, there is little storyline to tie these pieces together and at times this renders the show difficult to follow. However the show's saving graces are its breathtaking choreography, stunning costumes and impressive set, comprising of the various debris of a junkyard spilling off stage into the audience. Consistently mesmerising dance numbers and beautiful instrumentals more than made up for the lack of stand out songs with the exception of the iconic song 'Memory'. Cats is very much an ensemble piece with no one feline overshadowing the next. Each cast member has their own chance to shine and their performances are seamless both individually and as a group. It's clear that despite being 32 years old, the production has not lost momentum and will continue to dazzle audiences for many years to come.